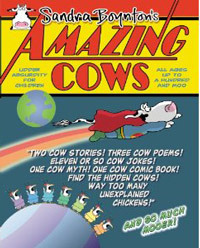 Well, I warned you about this yesterday but I really didn’t think I’d be featuring this cow on today’s post. 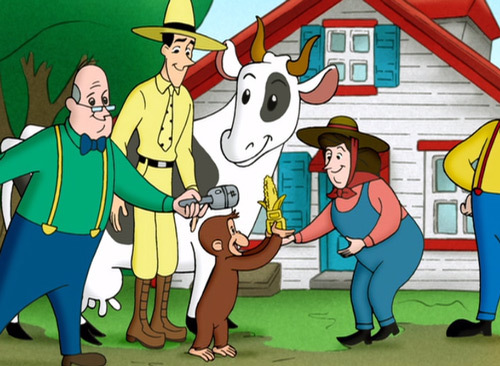 The first thing that came out of my kids’ mouths tonight was, Mama, we want to watch Curious George and the maze race! 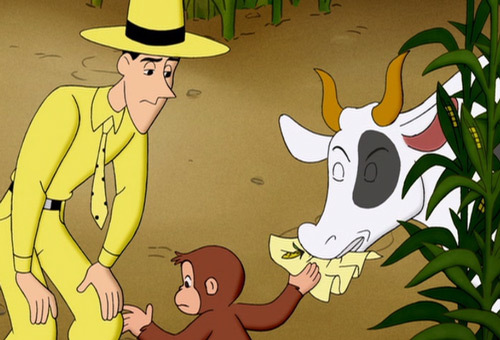 I’ll admit, this cow finds redemption as she walks away and George and the man in the yellow hat decide to follow her. 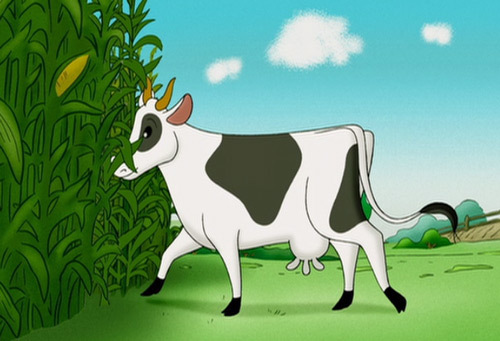 Clearly cows have a great sense of direction because Leslie is the first one to make her way out of the maze! 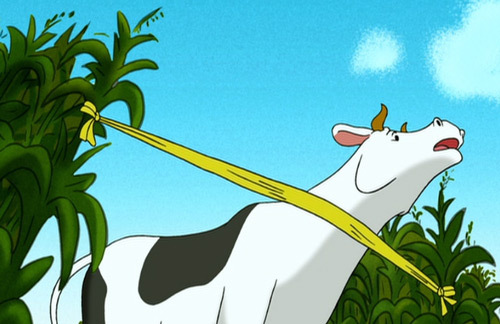 Thanks to her, George and his owner show up right behind her, and since they were officially enrolled in the contest and the cow wasn’t, they end up winning first prize. Who said cows weren’t nice? Congratulations, George, you win the golden cob! Now that’s something to be proud of. 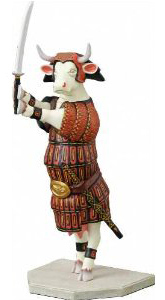 Previous Post The Cow Parade Austin 2011 is on!